Harris County Attorney, Vince Ryan, ran for office in 2008 on a promise to be “a watchdog, not a lap dog.” The Houston Chronicle endorsed Ryan that year saying “[t]he county badly needs an independent county attorney who will do more than be a loyal legal adviser to Commissioner’s Court and other elected officials.” Vince Ryan has broken his promise to voters and brought a lack of integrity and strength to the office and has shown a clear pattern of protecting Democrats, Democrat elected officials, and liberal groups. All this while the Republicans on County Commissioners Court have been working hard to clean up ethics in county government. The County Attorney is the county’s lawyer in all civil matters and runs an office of 176 employees and lawyers[i]. Were it a private law firm, it would be one of the top 15 or so firms in the county. The County Attorney is also the county's primary ethics watchdog. The office has the legal authority and responsibility to remove county officials when necessary. In the 1990’s, Democrat County Attorney Mike Driscoll filed a lawsuit to remove Republican County Judge Jon Lindsay for alleged ethics violations. Vince Ryan was then Driscoll’s First Assistant. 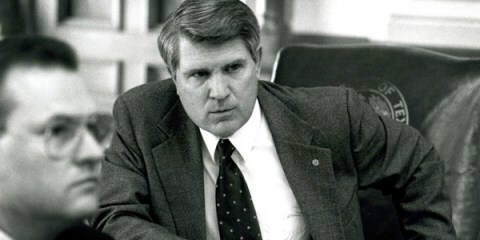 Terry O’Rourke, who currently serves as Ryan’s First Assistant, was then an Assistant County Attorney. O’Rourke led the bribery investigation. Lindsay chose not to run for re-election and his term expired before the suit could be litigated. From this experience, Ryan clearly understands his responsibility and obligation as our County Attorney. In spite of this, Ryan has abdicated his responsibility for being our watch dog. It took a Grand Jury subpoena a few weeks ago to finally get Ryan to come forward with information about Democrat Constable Victor Trevino’s probable illegal activities. Ryan has also worked to safeguard Democrat officials like former Constable Jack Abercia who was arrested in January on federal charges. He has also protected Democrat Constable May Walker and other Democrat county officials and groups, including Houston Votes, a local group that has been likened to ACORN. Texas Watchdog reported that Ryan, in his role as County Attorney, served as a “mediator” when Democrat and Republican Party representatives met during the litigious 2010 election. This is in spite of the conflict of interest of Ryan having both given to and received donations from liberal groups who fight those who are working for election integrity - Republicans, Tea Party Patriots, and King Street Patriot’s True the Vote. Reminiscent of 2008 election strategies, LULAC just filed a lawsuit against Harris County and our Republican Tax Collector Assessor. Do you think Ryan can represent the voters with integrity in this matter? In Harris County, the fox is guarding the election and Democrat political party henhouses and he is getting a $177,000 annual salary from our tax dollars to do so. Scandal after Democrat scandal has dominated the headlines and airwaves. Ryan has done everything he can to continue protecting Democrat officials. One could write a book with the real watchdog work being done by ABC 13 Undercover’s Wayne Dolcefino in doggedly investigating the self-proclaimed watchdog’s lapses and ethics ever since he took office. 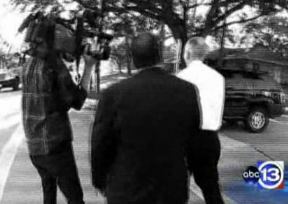 Here is a link to ABC 13’s investigation reports. The case against Vince Ryan is overwhelming. You really do need a book and not just a few articles, to see how pervasive Ryan’s pattern is of using his office to cover-up prohibited or unlawful deeds of Democrat officials and to further his legendary Democrat bias. The Grand Jury has recently heard from Democrat Constable Trevino’s top commanders about probable misdeeds in use of money from a charity founded by Trevino. Then Ryan himself was subpoenaed. Trevino’s attorney said that a Grand Jury subpoena for a sitting county attorney is extremely rare. Vince Ryan had knowledge of the misuse of the charitable funds months before the May primary and yet he did nothing. Trevino also donated his antique car to the charity and then received a $10,000 loan against the vehicle. The money was never deposited into the charity’s bank account. A deputy, serving as the charity's Treasurer, signed blank checks. Proper bookeeping was not done but we know that $3,500 was used for rodeo tickets. Who received those tickets? Last February, another Democrat, Precinct 7 Constable May Walker, barely escaped an indictment for improper and illegal use of government employees and equipment for a political fundraising event. Ryan should have taken action as required by his oath of office. Instead, both Constables Trevino and Walker won their primary elections in May and are now unopposed in November. Where was our watchdog? In another case, former Democrat Precinct 1 Constable Jack Abercia resigned in January under a thirteen count federal indictment for bribery, corruption and conspiracy. Before he was arrested, Vince Ryan and his office knew that the Constable had been taking about $1,500 a month and yet again, he took no action. Abercia was later charged with corruption for allegedly taking a bribe to hire a deputy. Abercia and his long-term ally, Chief Lt. Ken Wiener, also face accusations that they were paid to illegally run background checks for private companies. They have been charged with unlawfully accessing the National Crime Information Center (NCIC) database for personal financial gain. 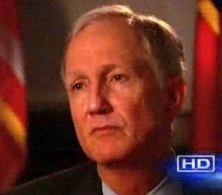 The Houston Chronicle reported in May that County Attorney Vince Ryan knew of problems with the constables for months. 13 Undercover requested documents through the legal channels legislatively enacted to provide for transparency in government. The Houston Chronicle, 13 Undercover, and Republicans on Commissioner’s Court demanded these documents and Ryan’s report. An affidavit from Ryan’s Chief of Staff, Robert Soard, stated: "It was never intended that any of these documents would be released to the public." "I'm sorry, the investigation into Kennedy assassination took place at quicker pace than this is. What's going on?" Texas Watchdog Editor Trent Siebert said. "Anyone that's watched Colombo knows, I'm sorry, the first person that you interview in your investigation is the guy at the top, the guy accused of wrongdoing? That’s the wrong way to cover an investigation." Ryan’s office had not even interviewed one of the early whistleblowers, former Pct. 6 Media Officer Anna Nunez, and Ryan never talked to Constable Trevino. Vince Ryan also never released a 2009 memo detailing how Edwin Harrison, the former director of county financial services, was doing business with broker friends and had photos of prostitutes on his government computer. The county has a $2.4 billion portfolio of investments but these brokers overcharged the county $1.14 million plus over 6 years. The prices on 10 of 11 trades were some of the highest in the country. Parentegeard, an auditing firm, confirmed overpayments from March to September 2010 and found no evidence that the county used competitive bidding. Harrison took a vacation to Costa Rica with his friends and purchased a used Cadillac from one of the firms at almost half its Blue Book value. The companies later agreed to pay back the county when Republicans on Commissioners Court demanded it. Ryan did nothing. ABC13 reported that Democrat Commissioner El Franco Lee was double-dipping by getting both a car allowance (approximately $75,000 over all the years) and was using a county pool car. Channel 13 asked the County Auditor if he had a legal basis to stop the double-payments and he asked for legal advice from the County Attorney. Apparently, Ryan did nothing, yet again. Ryan’s decision to withhold reports from his investigations and to fight public disclosure of documents, has brought strong criticism from County Judge Emmitt and Ryan’s Republican opponent Robert Talton, as well as other Republicans. It has also brought strong criticism from watchdog and ethics groups and even fellow Democrats. Besides his conflict of interest mentioned earlier in this article where Ryan served as a mediator between the Republican and Democrat Parties and conservative voter watchdog groups when he was taking and giving donations from liberal voting-issue organizations, Ryan has himself engaged in questionable ethical practices. Ryan took more than $30,000 in political contributions from the firms that had to make refunds to the county because of the Harrison scandal. And now he is set up as the “Big Dog” because Ryan has taken over approval authority of all bond lawyers for the county. How many campaign contributions will that bring in for Ryan? 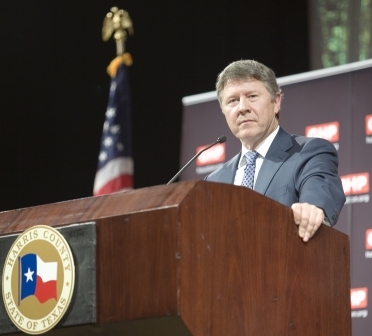 At the annual State of the County address in March, County Judge Emmett called upon County Attorney Ryan to bolster the rules to strengthen an ethics committee that Commissioners’ Court created in 2009. The ethics committee only met twice because Ryan said there needed to be changes in the law in order for the committee to have teeth. Ryan also used $100,000 in your tax dollars to make a self-promoting video showing him and his dog running on the beach. The video was a documentary about dog fighting. But Ryan wasn’t even in office when the big bust portrayed happened in 2008. And the recipient of that huge payment for the video – you guessed it, a longtime friend of Ryan’s First Assistant. Ryan’s first No. 2 man, J. Marcus Hill, was getting a $155,417 salary while engaging in a private law practice. Hill was the lawyer for Arthur and Wayne Benfer and he helped them win a $123,416 judgment from Harris County. Hill received 1/3 of that sum in addition to his handsome salary from you, the taxpayers he just bilked. While Texas law allows it, the County Judge called for the practice to be banned. Hill left the County Attorney’s Office. Ryan later sought to pay an outside law firm $175 an hour to comply with Public Information requests. Talton served us well from 1993 to 2009 when he was a State Representative for District 144 in the Texas Legislature. His experience as Chairs of the Committee on Urban Affairs and the Harris County Delegation and House Republican Caucus Policy Committees, and his time as Vice-Chair and a Committee member of the Criminal Jurisprudence committee equips him well. Robert Talton is what we need in our Harris County Attorney. From "A Lawless Presidency" under Barack Obama to a Sheriff who should not be running one of the largest law enforcement agencies in the country; to a County Attorney who provides cover for unethical and illegal acts of Democrat officials; to Lloyd Oliver, a DA candidate who thinks some women “just like to be beat up before making love”; to judges like Kevin Fine who just makes up the law as he sees fit –declaring Texas’ death penalty unconstitutional; the Harris County Democrat Party has given us plenty of reasons to vote a straight Republican ticket. Hell, they don't even want some of their own candidates on the ballot this year! [i]The duties of the office are extensive. The County Attorney’s Office defends suits against the county and county officials and law enforcement officers. It represents many county and state agencies, including Harris County’s Hospital and Flood Control Districts. It represents the State in mental health commitments, and children's protective services and guardianship cases. It assists county departments with collection of fines, taxes, judgments, liens and other monies owed to the county. The Office defends employment lawsuits and represents it in civil service commission and labor administration proceedings. It assists with enforcement of deed restriction and public nuisance violations. The office also has a civil Special Prosecutions Unit that deals with sexually oriented business violations, the Texas Alcoholic Beverage Code, human trafficking, and animal cruelty cases. The Environmental Division enforces laws regulating air and water pollution, hazardous and other waste disposal, flood plain management, and public health nuisances. The Office is also charged with complying with Public Information Act requests. [ii] He has served as an Assistant City Attorney in Pasadena and South Houston and later became the City Attorney for South Houston and for Pearland. He has also served as the Police Legal Advisor to the City of Port Arthur. [iii]He is endorsed by the Harris County Deputy Sheriff’s Organization, the Houston Police Officer’s Union, and the Fraternal Order of Police.